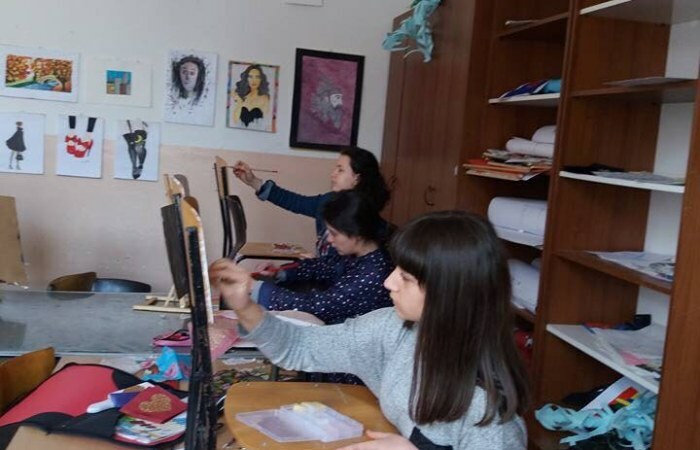 A famous quote by composer Brahms says that “Without craftsmanship, inspiration is a mere reed shaken in the wind” and by this principle we at Secondary Technical School known as “Teknika” in Gjakova strive to shape the talents and work of our students and prepare them for their further life endeavours. Established since 1969 the Secondary Technical School “N. Nixha” in Gjakova has prepared many generations to be competitive in the job market in various crafts and professions. The aim of our school is to channel further the talents and willingness of youngsters wanting to become mechanics, electricians, IT-s, tailors, fashion designers, architects, civil engineers, and so on, through professional teaching knowledge. Many changes and rapid developments are happening in the world nowadays therefore, every country should follow these progresses as well, in order to be competitive and successful. Youngsters are the ones that are eager to grasp every change and progress that the modern world offers and by this they expect from the schooling system to offer them advanced teaching and learning methods. Therefore, S.T.S. “N. Nixha” has constantly worked in improving initially the teaching methodologies by training primarily its staff through various training programs such as ECDL (European Computer Driving Licence) modules, E-Learning, Teaching Methodologies and Didactics, Student in the Center Teaching Approach, etc. The next step was to improve the infrastructure of the school in order to provide modern teaching and learning methodologies. Hence, we have started gradually to digitize the quarters of our school starting primarily at the cabinets where our students get to learn the actual application of the theories of their directions that are being taught at the school. We have applied for assistance to various donor organizations and IPKO Foundation was one of the organizations that assisted us with the amount of 500 € whereby be purchased the much needed overhead projector and presenting screen which we will use to make the lessons as presentable as possible and attract students attention for better learning. Since the projector is portable the advantage is that it can be used in various classrooms and cabinets and by other subject teachers besides the professional ones so that the lessons can become eye-catching and tangible for the students. At the present time with such vast technological and scientific developments and the trade economy era, the crafts and skilled people that work in actual production are much needed. Sometimes youngsters do not realize this, therefore here is where our school tries to step up and strive to attract as many youngsters wanting to become skilled professionals by offering them modern teaching and learning methodologies and ambience. Digitizing our school is one major step that will lead towards improvement of the teaching-learning approach and whatever assistance is offered to us in this regard is really welcomed. IPKO Foundation assisted us in one important component in this direction and we are happy to find out that their doors will be open for future assistance and cooperation.